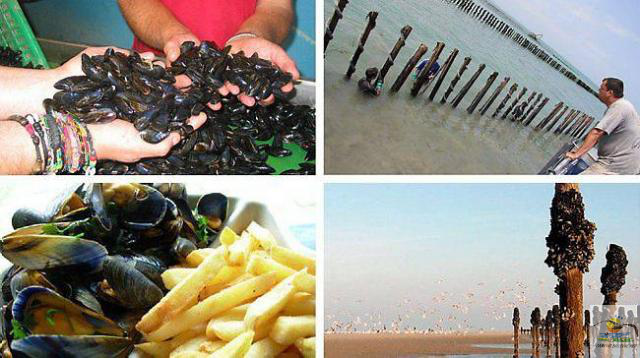 Mussels: the Bay of St Brieuc weighs 10% of national production. Mussel, mussel culture, is a strong economic asset of the bay of Saint-Brieuc. This tradition, well known, however, is not Brieuc. Mussel. It is steep and difficult to pronounce name of mussel farming on mussel beds. This tradition of mussel (Livestock carrier mussels and other shellfish), well known in the area, however, is not Brieuc. For this, we must wait until 1956 and a serious illness, the mytilicula intestinalis, which destroyed 90% of the production of the Aiguillon bay, north of La Rochelle. mussel farmers families while moving around in Brittany in the Ille-et-Vilaine and Cotes d’Armor. 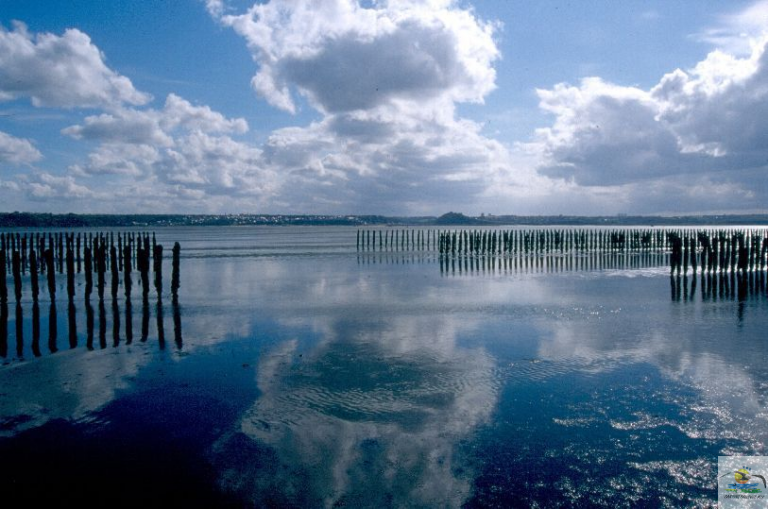 And in the 60s, in the bay of Saint-Brieuc, are started the first oak piles settlements, famous mussel, which now represent 98% of the production of molds in the department. With a length of 93 km of mussel, the Brieuc bay supplies nearly 10% of the French annual production between March and December. Or 4 000 tonnes of seafood. Making Brittany North, the second producer of mussels in France, after the North and Normandy. Two separate molds breeds are grown here: the wild mussel (Mytilus galloprovincialis) adapted to the local climate and marketed from March to June and cultivated mussel (Mytilus edulis) that is found on the piles of the bay and on our plates July to December. The spat (larvae of mollusc) is first captured on ropes during the summer season. Then, these strings are wound on the mussel. The mussels are farmed for 12 to 18 months, to then be harvested and marketed. In the bay, the east side is producer, from Légué up Daouët. The bay is marked by tradition and know-how that is perpetuated from generation to generation within the same family. In Hillion, in the cove of Morieux, that include shipping six workshops are located.